Two new episodes of Lost arrived this week. What more can I say? See for yourself. Also inside: a fun-lovin' new TV Bulletin Board and the latest D-FW ratings. "And I'll tell you when it's time to bring in the pets. C'mon in, Tracy"
Here's our last in a series of old-timey 1979 promos from WFAA's "You Can Count On Us" campaign. This one spotlights a warm and toasty Troy Dungan. Yum. Here's WFAA-TV's very melodious "Iola" promo from 1979. That would be trailblazing anchor Iola Johnson, at the height of her powers here. 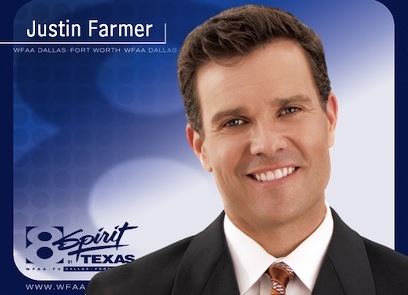 Florida import Larry Mowry signed on as CBS11's 10 p.m. weatherman Monday. Here's a first impression. Also, check out the latest D-FW Nielsen ratings. Here's a classic "You Can Count On Us" WFAA-TV promo from 1979, starring Tracy Rowlett, Iola Johnson, Verne Lundquist and Troy Dungan. Even back then it looks as though Verne is interviewing Will Ferrell. And check out the sub-vintage, manually operated weather info. Your friendly neighborhood Wisconsinite (and Dallas resident since 1979) isn't too cheery on this suitably overcast Monday morning. No excuses, though. The incredibly resilient New York Giants deserved to win. 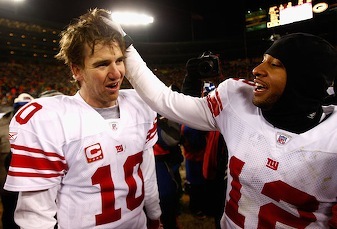 And in the end, little bro' Eli Manning proved to be more than a match for fabled Green Bay Packers QB Brett Favre. Whatever side you're on, this was the best prime-time drama of the season. Spine-tingling, bone-chilling. And all gloriously captured by Fox, whose crew also had to battle the elements to bring you a tense gut fight between two storied teams who hadn't met in the post-season since 1962. Pre-game, halftime and post-game ringmaster Curt Menefee, formerly of KTVT-TV (Channel 11) and "The Ticket" (1310 AM), wisely credited Fox's off-camera troops before signing off Sunday. Imagine the fun of wiring Lambeau Field for sound and pictures in Arctic temps that plunged to minus 1 degree at kickoff with an accompanying 23 below zero wind chill. 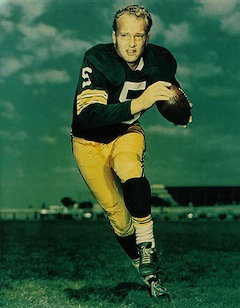 "Ice Bowl II," in which only analyst Terry Bradshaw picked New York, ended as an amazingly offensive game with more total points scored than in New York's equally stunning upset of the Cowboys. 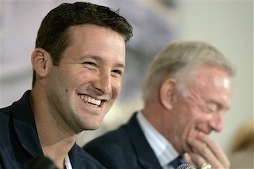 Down went Dallas, 21-17. Down goes Green Bay, 23-20 in sudden death OT. For solace and penance, I'll dunk my head in a tub of Leinenkugel beer, re-emerge to imbibe a four-pack of Brats and then choke down a few cheese curds. No blame games, though. It was a helluva season. And in the end, hell froze over at Lambeau Field. The Giants won, and it's over and done. Lest you forget . . .
Hope to see you there! And remember, it's free and for a very good cause. A $500 donation will be made in guest Tracy Rowlett's name to his designated charity -- the Scottish Rite Children's Hospital. Charlie Rose, who prepped at KXAS-TV (Channel 5) with a locally produced talk show, has been named a 60 Minutes contributor. Rose, 66, hosted The Charlie Rose Show at the station's Fort Worth studios from 1979-81 before taking the program to Washington, D.C. for a short-lived run in national syndication. He had been a correspondent on the since-canceled 60 Minutes II from 1999 to 2005. 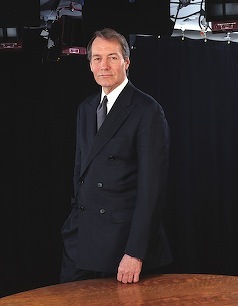 Rose will continue as host of PBS' Charlie Rose interview program, which he launched in 1991. Wednesday's two-hour American Idol audition show from Dallas drew 30.4 million viewers nationally, a substantial dip from the 36.9 million who witnessed last year's second episode. Still, Idol again outdrew the combined competing audience (27.3 million) for programming on ABC, CBS, NBC and The CW. And it officially made Fox the No.1 network for the season-to-date among advertiser-coveted 18-to-49-year-olds. Here a kook, there a kook . . .
Fox has just released this photo of Tim Rogers, er, Renaldo Lapuz, performing at last year's Dallas tryouts for American Idol. They'll unfold for all to see on Wednesday night's two-hour episode (7 p.m. locally on Fox4). Just to be clear, though, Lapuz is from Reno, Nev., not here. Clearly he's not all there either. 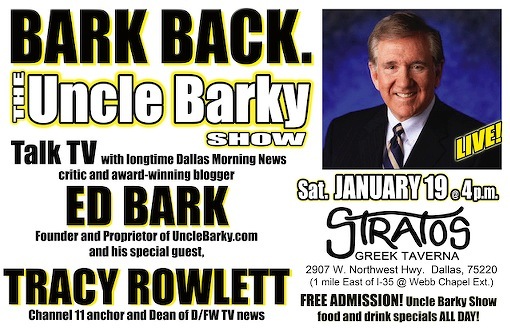 It's just three days until the second Uncle Barky Show, featuring CBS11 anchor Tracy Rowlett. It's Saturday, Jan. 19th, 4 p.m. at Stratos Greek restaurant, 2907 W. Northwest Hwy. in Dallas. 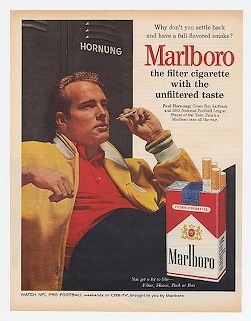 (See above ad). As before, a $500 donation will be made by Stratos to the guest's designated charity. Rowlett has chosen the Scottish Rite Children's Hospital of Dallas. We're looking forward to a lively, in-depth interview followed by your questions. Your attendance will show your support for unclebarky.com, the D-FW market's only source for both local and national TV reporting and criticism. And the Scottish Rite Hospital will thank you, too. Remember, admission is free, and food and drink specials are plentiful. 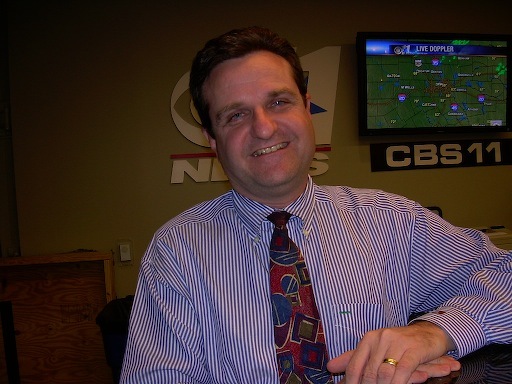 And if you'd like more background and perspective on Rowlett, go to our Back Channels page for a 1999 story on his transition from Belo8 to CBS11 after a quarter-century at the ABC station. Comedian Harry Shearer's Web site, My Damn Channel, has an elongated, behind-the-scenes video of Katie Couric prepping for various news sniglets from the New Hampshire presidential primary. It's pretty long but also addictive. And it says a lot in its own way about the care and feeding of a modern-day news anchor, not that Couric comes off as a monster or anything. Take a look here. And thanks to old friend Kevin McCarthy for sending it along. 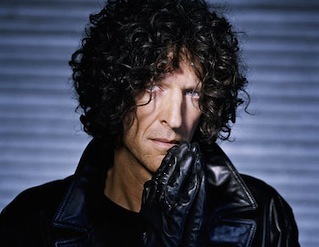 Pay radio kingpin Howard Stern regularly belittles made-for-TV shrink Dr. Phil McGraw. He did so again Thursday on CBS' Late Show with David Letterman, but also added a blast at McGraw's alma mater, the University of North Texas in Denton. "University of North Texas. You need, I think, a driver's license to get in there," he said. The Spears family supposedly is irate with McGraw for publicizing his visit with hospitalized Britney Spears. At least that's what Lou Taylor, business manager for parents Lynne and Jamie Spears, told NBC's Today earlier this week. But subsequent reports say the family in fact is not upset with McGraw. Whatever the truth, Stern can't stand the thought or the sight of Dr. Phil, whose doctoral thesis at UNT was on rheumatoid arthritis, he told Letterman. 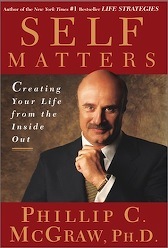 "I think we're going to be done with this Dr. Phil once and for all," Stern said. "They're going to lock him up and put him in a straitjacket. I mean, who is this guy?" For the record, McGraw has a B.A. from Midwestern State University in Wichita Falls, and an M.A. in experimental psychology and doctorate in clinical psychology from UNT. 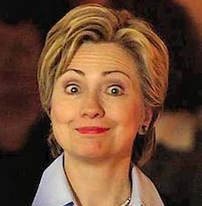 Whatever you think of Hillary Clinton, it was heartening to see her have the last hee-haw Tuesday night at the expense of the braying jackass of American politics. 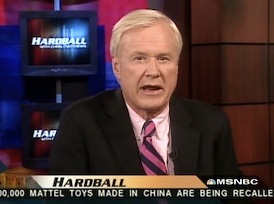 That would be MSNBC's Chris Matthews, who had chided, vilified, ridiculed and all but written off both Clintons while anointing Barack Obama as literally "the Lawrence of Arabia" of campaign 2008. Then it all crumbled when Hillary at least briefly calcified Matthews with her so-called "upset" win over Obama in the New Hampshire primary. Countless other pundits and pollsters had it all wrong, too. But no one is more smugly and infuriatingly self-important in his pronouncements of who's hot and who's not. Not that he's on target all that often. But the bellicose clang of his own name-dropping voice keeps pleasing the only person that matters -- him. Even Matthews feigned being a bit chastened Tuesday night, acknowledging at one point, "If she wins tonight, she's got a leg up on the predictors, the pundits and people like me." But he then quickly wondered whether Hillary's teary-eyed response at a New Hampshire Q&A on Monday prompted an eleventh hour, gender-influenced pity vote for the lone woman candidate in either party's field. "At what point does tough combat give way to sympathy?" he mused. Later Tuesday night, as Hillary remained ahead, MSNBC contributor Rachel Maddow said in all seriousness that some people are "blaming Chris Matthews" for her late-inning rally. And why not? The guy's getting easier to loathe than Bill O'Reilly, who had his own self-publicized dustup in New Hampshire with a tallish Obama aide who seemed to go out of his way to block a Fox News Channel cameraman from videoing the candidate. Matthews countered-punched with a grandiose campaign trail moment during Hillary's media Q&A in Nashua. He didn't like her answer after he asked for the "essential difference between the two of you (also meaning Obama) in how fast we're gettin' out of Iraq." "I believe I will get our troops out as quickly and responsibly as is possible," she said. "And he won't be responsible?" Matthews jabbed back. It deteriorated from there, with Hillary finally telling Matthews, "I don't know what to do with men who are obsessed with me. Honestly, I've never understood it." The clip was replayed multiple times on MSNBC, of course, with Matthews demanding during one re-airing, "You've gotta show the best part of it." The "best part" was video of Hillary walking over to him and playfully saying, "Oh Christopher, baby" while he pinched her on the cheek and she semi-embraced him. "It's not obsession," he told her as she quickly pivoted away from her Judas. Media blowhards -- a k a Matthews -- eat this stuff up because it makes them seem larger than life if not bigger than the campaign itself. Visualize him as a big cartoonish balloon floating high above the Macy's Thanksgiving Day Parade. Thankfully there are still voices of reason, even if the semi-retired Tom Brokaw is now only a part-time player during MSNBC's gabby election night marathons. "You know what we're going to have to do? Wait for the voters to make their choices," he said after yet another discussion of how wrong the polls had been. "What do we do then?" Matthews wondered. Stop trying to "stampede the process," Brokaw said, making it a point to include the media at large in this criticism. "Let this process go forward in the way it should." Yeah, like that's gonna happen. Even Brokaw joined the crowd in making way too much fun of Republican victor John McCain's less than electric victory speech. It won't matter a whit to the electorate, but that's a secondary consideration, of course. Matthews did make one solemn vow after interviewing Clinton campaign manager Howard Wolfson minutes after Hillary's triumphant address to supporters. "I will never underestimate Hillary Clinton again," he told him. He'll never stop yapping, though, or calling attention to himself. At 12:09 a.m. (central) Wednesday, Matthews ordered up yet another replay of his pinch-and-hug with Hillary. She still has ample time to kick him in the nuts during a subsequent higher-stakes primary. He'd love that. 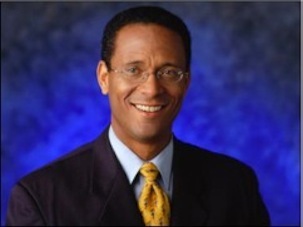 CBS11 has dropped veteran anchor/reporter Clif Caldwell, station management confirmed Monday. Caldwell joined CBS11 in September 2001 from NBC5, where he had been a featured member of that station's three-man nightbeat team, along with Jay Gray and Scott Gordon, who remains with the Peacock. CBS11 staffers were informed of Caldwell's departure in a brief memo from news director Scott Diener, who did not elaborate. Caldwell, who is looking for other work, said he'd have no immediate comment. Facing massive no-shows by nominees, the Hollywood Foreign Press Association has canceled its 65th annual Golden Globes awards ceremony, which NBC had planned to televise on Sunday, Jan. 13th. Instead the winners will be announced at a brief, no-frills press conference to be covered live by NBC News at 8 p.m. (central time) Sunday. The striking Writers Guild of America had strongly urged a boycott by the TV and movie stars whose attendance, on-stage participation and red carpet struts make the Globes tick. The official HFPA announcement is here. Belo8's Daybreak team is breaking up -- again. Station management got the unexpected news Friday that co-anchor Justin Farmer will be joining WSB-TV in Atlanta after his contract expires in July. "We expect he'll be here until July," Belo8 news director Michael Valentine said Friday. He declined further comment. Earlier Friday, Farmer had welcomed Daybreak co-anchor Cynthia Izaguirre to her first day on the job. She's replacing Jackie Hyland, who left Belo8 at the end of the November "sweeps" and now is reporting for WCBS-TV in New York. Farmer has ties to Atlanta. He previously was a sportscaster for CNN, whose world headquarters are in the city. And his father is Don Farmer, one of CNN's early anchors when the cable news network launched in 1980. Reporting for WCBS-TV: former Daybreak co-anchor Jackie Hyland. Jackie Hyland, who left Belo8's Daybreak at the end of the November "sweeps," already has a reporting job at WCBS-TV in New York. Hyland made her on-air debut Wednesday on the CBS-owned station's 5 p.m. newscast. She joined Belo8 in August 2005 and co-anchored the ABC station's Daybreak with Justin Farmer before signing off tearfully on Nov. 28th. "I am going back home to be with my family," said Hyland, a native New Yorker. 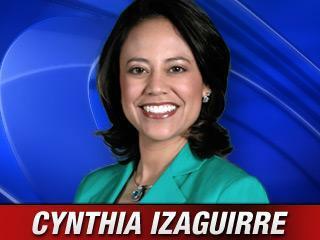 Her replacement, Cynthia Izaguirre from KOAT-TV in Albuquerque, N.M., tentatively will join Farmer on Friday's Daybreak.